Round 9 of the JFL season last weekend saw YKK AP's Hiroki Kishida hit a hat-trick in a 5-1 win over wooden-spooners Sagawa Printing to go three points clear at the top of the table. 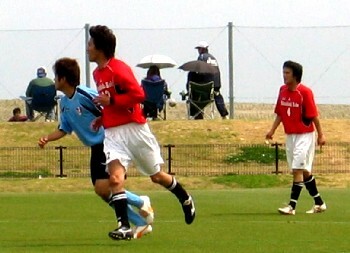 Second place Alo's Hokuriku conceded only their third and fourth goals of the season as they fell to defeat for the first time this year, at the hands of in-form Sagawa Kyubin Osaka, who have themselves risen to the top six on the back of three impressive wins against some of the JFL's stronger teams. One of these sides was Honda FC, now level with Alo's thanks to two goals apiece from their dangerous front pairing of Kodai Suzuki and Junya Nitta against Arte Takasaki. Tochigi SC and Rosso Kumamoto are still in touch at top, following comfortable home wins against Yokogawa Musashino and Honda Lock respectively. 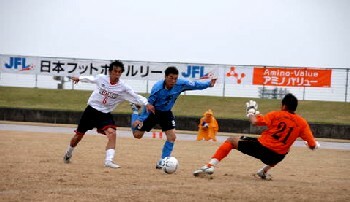 Rosso's rivals FC Ryukyu finally managed their first JFL win, Fukutaro Kishida scoring a hat-trick against a Ryutsu Keizai University side who are sinking fast. A first win, too, for draw specialists SC Tottori, who came from 3-1 at JEF Club to win 4-3. 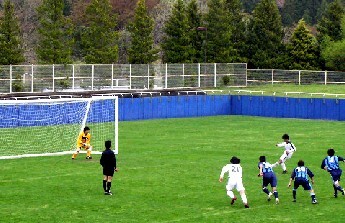 The Nippon Steel Kamaishi against Sendai Nakata Club fixture seems to have been postponed, but two matches did take place on Sunday in the Tohoku League Division 1 on Sunday. 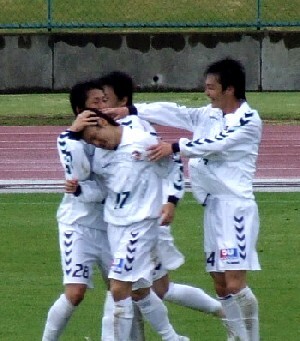 Two late goals helped last year's joint champions TDK Akita kick off their 2006 season a 4-0 win over Morioka Zebra, while Wiese Shiogama came from one down to draw with FC Primeiro. News is now in of the details of the Kansai League Division 2 programme after last holiday weekend, which saw all eight teams play two matches apiece. FC Kyoto BAMB 1993, relegated from Division 1 at the end of last season, show every sign of being able to bounce back immediately as they retained their 100% record with wins against strugglers Kohga School and, more crucially, Technonet Osaka, who comprise their nearest challengers. Bottom of the league are Kobe FC Senior C, who picked up their first point of the year with a 1-1 draw against Kihoku Football Group on Sunday but the day before had conceded five to Mitsubishi Heavy Industries Kobe. Newcomers to the league Riseisha FC continue to give a reasonable account of themselves and picked up a second win of the season against Mitsubishi.